Lakeland offers the following facilities. Long sandy beaches and rugged sea cliffs, sparkling lakes and breathtaking mountain views - discover the delights of the landscape that inspired some of England�s greatest writers when you stay at one of our holiday parks in Cumbria and the Lakes. And whether you�re looking for a fun-filled family break or just to get away from it all, you�ll find the perfect holiday right here. Amidst the high hills and stunning scenery of the Lake District National Park you can enjoy a fantastic range of activities from extreme sports to relaxing walks, while all along the coast, as well as on the majestic lakes themselves, you�ll find centres for water sports of all kinds. For something completely different, why not try a llama trek - just one of many attractions within easy reach of our holiday parks in Cumbria and the Lakes. Great holiday and a great park, will book again. All you could possible need is on site entertainment food etc, once your there its all at hand. We were very impressed with the entertainment options for the kids - they managed to keep my 3 kids captivated all week. This is recommendable. Booking thru internet is easy and www is user friendly. 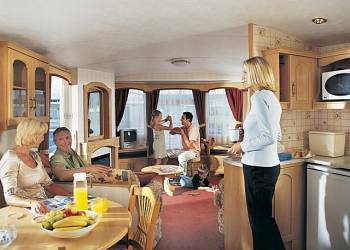 The Holiday site is a superb place to stay and to explore The Lake District. Parking near the Caravan makes it more convenient. Bringing your own bike makes more fun. One of the best sites we have been on! Very well kept & organised! Can't wait to visit again! Lovely place and we were lucky with the weather. We would recommend this holiday to other people because the location was fantastic with breathtaking scenery, the entertainment side of it was fun and involved both adults and children. Overall we had a very good time and would certainly visit the park again. Great location, lovely places to walk in the surrounding areas. Would recommend this site for families with young children, nice clean environment, friendly staff and a beautiful location. Excellent location and facilities for a complete holiday package. Excellent base to explore The Lakes. Have you been to Lakeland? Please submit your review so that others can benefit from your experience. Important note: Information provided here about Lakeland is intented as a guide. Always check when you book.